2 bedroom, 2 bathroom spacious open floor-plan. Pride of Ownership is one way to describe this magnificent opportunity that awaits your buyer... 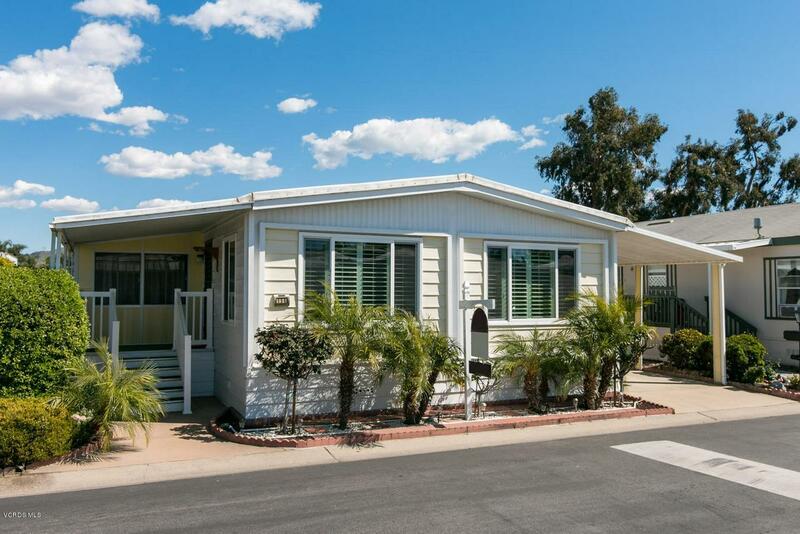 This home located in Camarillo's fabulous Lamplighter Manufactured Home Park community has been meticulously maintained and cared for by the current owner for many years. Skylights were added to allow natural lighting into the home. 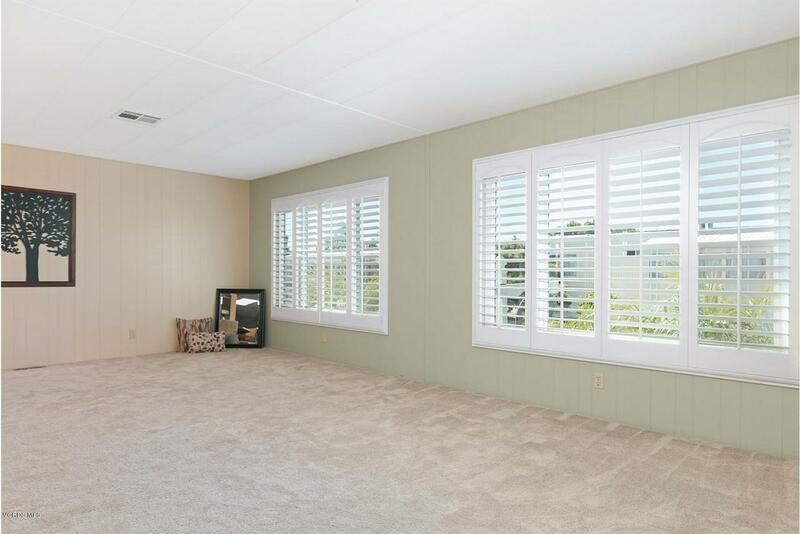 Many of the windows have been upgraded to dual pane windows and accented with custom wooden plantation shutters. Other features of this home include a built in hutch in the formal dining area, laminate wood-like flooring off the kitchen, newer carpet in some areas, upgraded master bath and gorgeous mountain views from the master bedroom and rear of the home which backs to open space...location location location!!! 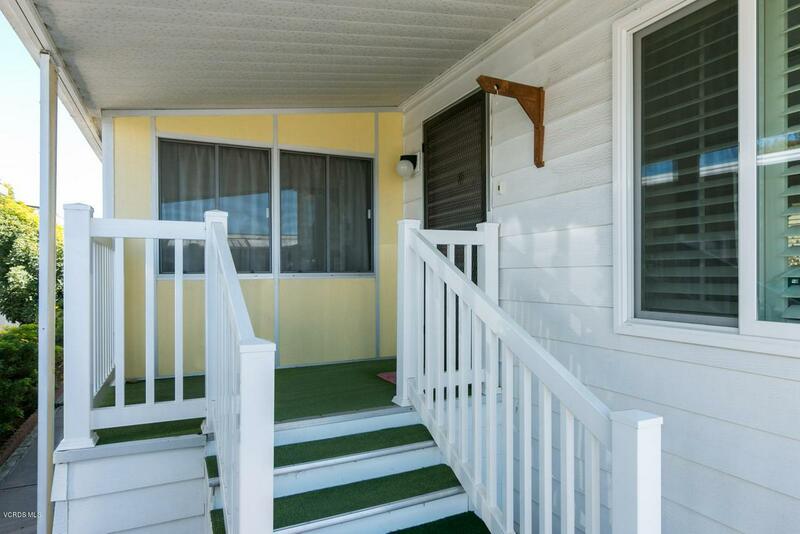 Even on the exterior of this unit, observe the subtle details such as the updated vinyl railings/banisters... You won't be disappointed... there's even a bonus room that can be used for anything you desire... art's/crafts etc... Come out and take a look!!! Sold by Sheri Peppers BRE#02014034 of Keller Williams Westlake Village. 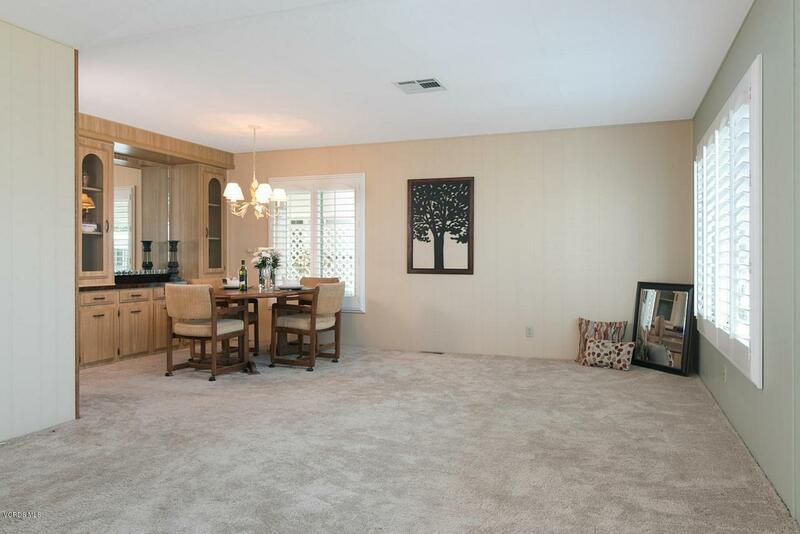 Listing provided courtesy of Anthony Conti DRE#02014034 of Berkshire Hathaway Homeservices California Realty.